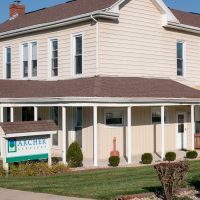 Archer Services – Serving persons with developmental disabilities who are in need of individualized support to live successfully in one's own community. Life in community makes all the difference! 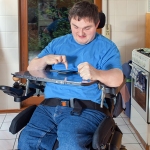 We honor each individual’s right to choose their services, level of interaction, and personal goals. Archer staff members complete Personal Outcome Measures® to ensure that every person’s goals, preferences, and concerns are addressed as we serve them. Archer encourages every person to increase independence in their daily lives. 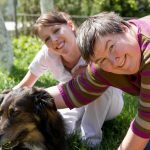 We help individuals work to toward their informal and formal ISP (Individualized Support Plan) goals. 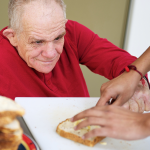 We provide services to individuals in their own communities. Archer supports each person as they engage with their neighbors, co-workers, and friends. Our services allow opportunities for full community integration. We do not tolerate any form of abuse, neglect, exploitation, mistreatment, or any violation of an individual’s basic human rights. Our management team tracks and analyzes trend reports, and monitors all individual service reports. Our support staff is trained regularly to maintain the highest level of reporting and documentation standards in addition to our care.